MACAO /PRNewswire/ — Conrad Macao, Cotai Central has been honoured with two awards in TripAdvisor’s 2015 Travelers’ Choice Awards: ‘Top 25 Hotels in China‘ and ‘Top 25 Hotels for Service in China‘. This marks the third award for the hotel in 2015 having also been listed on Conde Nast Traveler China’s ‘2015 Gold List’ earlier in January. Conrad Macao is currently ranked #1 out of 85 hotels in Macao on TripAdvisor. Conrad Macao has been named a ‘Top 25 Hotel’ & ‘Top 25 Hotel for Service in China’ in TripAdvisor’s 2015 Travelers’ Choice Awards. Now in its 13th year, the annual TripAdvisor Travelers’ Choice Awards honour the world’s best hotels, earning their distinction from those who know them best – real travellers. Unlike any other hotel honours, TripAdvisor Travelers’ Choice winners are based on millions of valuable reviews and opinions from travellers around the world. Located in the heart of Sands® Cotai Central and set against a backdrop of world heritage listed cultural sites, the multi-award award winning hotel offers contemporary accommodation for sophisticated travellers. With 636 guestrooms including 206 luxurious suites, guests can enjoy amenities such as digital entertainment systems, iPad docks, Nespresso coffee machines and spa-influenced ‘his and hers’ amenities in every room. Guests can also relax and unwind in the hotel’s Health Club, take a swim in the outdoor swimming pool or book a pampering spa treatment at Bodhi Spa. If guests are looking to enjoy some retail therapy then they can explore more than 100 luxury designer and lifestyle shops within the Sands® Cotai Central integrated resort or walk across to The Shoppes to enjoy an additional 500 stores. Guests are also spoilt for choice when it comes to dining – whether it is contemporary Chinese cuisine at the hotel’s signature restaurant Dynasty 8, international and Asian buffets at Grand Orbit or the array of international and local restaurants located within the resort complex, there is something to suit every palette. Conrad Macao, Cotai Central is a world-class, contemporary, luxury hotel located at Sands Cotai Central, offering luxurious guestrooms and suites in a 40-floor tower overlooking the Cotai Strip. Just a five-minute drive fromMacau International Airport, Conrad Macao offers easy access to all parts of Macao with limousine service, plus the added convenience of complimentary shuttle buses. Conrad Macao is also connected conveniently to ferry terminals and border crossing points within a few minutes of the hotel. Take advantage of our authentic connections to Macao’s cultural and heritage areas or stay entertained with direct access to restaurants and 100 luxury brand shops at Shoppes at Cotai Central or relax at the Pool Deck or Health Club and Bodhi Spa. ConradMacao, Cotai Central is the place to be in Macao to experience the luxury of being yourself. For more information, please visit www.conradmacao.com. Conrad Hotels & Resorts is the destination for the new generation of smart luxury travellers for whom life, business and pleasure seamlessly interact – people who know that the greatest luxury is the luxury of being yourself. A global brand consisting of 25 properties across 5 continents, Conrad Hotels & Resorts offer guests personalized experiences with sophisticated, locally inspired surroundings and connections to people and places around the corner or halfway around the world. Intuitive service is delivered with the Conrad Concierge App that puts Conrad’s services and amenities at the guest’s fingertips, whether ordering room service or a wakeup call to customizing the room’s pillow options or arranging reservations at our locally inspired cuisine and spa offerings. Conrad is a global luxury brand of Hilton Worldwide with plans to add 12 more properties to the brand’s portfolio. Connect with Conrad by booking at www.conradhotels.com or learn more about the brand by visitinghttp://news.conradhotels.com. TripAdvisor® is the world’s largest travel site*, enabling travelers to plan and book the perfect trip. TripAdvisor offers trusted advice from real travelers and a wide variety of travel choices and planning features with seamless links to booking tools that check hundreds of websites to find the best hotel prices. TripAdvisor branded sites make up the largest travel community in the world, reaching 315 million unique monthly visitors**, and more than 200 million reviews and opinions covering more than 4.4 million accommodations, restaurants and attractions. The sites operate in 45 countries worldwide, including China under daodao.com. TripAdvisor also includes TripAdvisor for Business, a dedicated division that provides the tourism industry access to millions of monthly TripAdvisor visitors. TripAdvisor, Inc. (NASDAQ: TRIP) manages and operates websites under 24 other travel media brands:www.airfarewatchdog.com, www.bookingbuddy.com, www.cruisecritic.com, www.everytrail.com,www.familyvacationcritic.com, www.flipkey.com, www.gateguru.com, www.holidaylettings.co.uk,www.holidaywatchdog.com, www.independenttraveler.com, www.jetsetter.com, www.lafourchette.com,www.niumba.com, www.onetime.com, www.oyster.com, www.seatguru.com, www.smartertravel.com,www.tingo.com, www.travelpod.com, www.tripbod.com, www.vacationhomerentals.com, www.viator.com,www.virtualtourist.com, and www.kuxun.cn. MACAO /PRNewswire/ — From superstars to superb exhibitions, and from music to sports, and much more in between, Sands China Ltd. has long-been a pioneer in delivering a diversity of entertainment choices from around the world at the company’s integrated resort city – Sands Resorts Cotai Strip Macao. With the arrival of the universally adored CATS at The Venetian Theatre March 6-15, 2015, Broadway musicals are a strong addition to the impressive and ever-expanding array of non-gaming attractions already available toMacao’s locals and visitors at Sands Resorts. The staging of CATS at The Venetian Theatre is the first of several Broadway shows coming to Sands Resorts Cotai Strip Macao, including another major musical coming in June, with details to be announced soon. Information on future shows will be available via Cotai Ticketing once announced. Whether new to the genre or long-time fans, audiences will have a chance to enjoy one of the most successful musicals of all time when CATS makes a limited-engagement run at The Venetian Theatre March 6-15. The record-breaking song and dance spectacular is a world-class production not to be missed, and features the timeless hit song “Memory,” a fantastical set, inspired choreography and mischievous costumes. More information, including ticketing details, is available at www.cotaiticketing.com. As Macao’s leading entertainment destination, Sands Resorts Cotai Strip Macao has helped the city stand out as one of the region’s top spots for catching the biggest superstars and some of the world’s most outstanding performances and events, including the Rolling Stones, Rihanna, Beyonce, Lady Gaga, Alicia Keys, Eason Chan, G.E.M., Girls’ Generation, Super Junior, Manny Pacquiao, Kobe Bryant, Yao Ming, The Philadelphia Orchestra, the China National Symphony Orchestra, the Huading Awards, the IIFA Awards and many, many others. The 15,000-seat Cotai Arena is the only venue in Asia ranked in Pollstar‘s Top 100 Worldwide Arena Venues based on ticket sales. It is the top entertainment destination in southern China, hosting the world’s and the region’s biggest names in music, sports and awards shows. Superstars frequently choose the venue as the starting point of their Asian tours. The 1800-seat, multi-purpose Venetian Theatre is one of the most luxurious entertainment venues in greaterChina. Featuring ushers in black-tie, champagne service, gourmet food and beverage items and other unique, premium amenities, it offers an intimate, luxurious and exclusive venue experience. The Venetian Theatre is playing a key role in bringing the best in international and Chinese entertainment to Macao, with a luxury theatre experience like no other in the region. Pulsating with life, both night and day, Sands Resorts Cotai Strip Macao features an expansive offering of affordable luxury available nowhere else in Macao, with approximately 9,000 hotel rooms and suites, international superstar live entertainment, duty-free shopping with more than 600 retailers offering an unparalleled array of name brands, 1.5 million square feet (140,000 square metres) of meeting and exhibition space for Asia’s leading conferences and exhibitions, transportation offerings and well over 100 dining options, including Michelin-starred restaurants, bars and lounges. Sands Resorts Cotai Strip Macao is a must-go destination providing every guest with an unforgettable experience and unparalleled excitement. Comprised of The Venetian® Macao; The Plaza™ Macao, featuring the Four Seasons Hotel Macao; and Sands®Cotai Central, featuring the world’s largest Conrad, Sheraton, and Holiday Inn hotels Sands Resorts Cotai Strip Macao is where Asia’s ultimate destination is all within reach. And coming in late 2015… the crowning achievement of Sheldon G. Adelson’s vision of the Cotai Strip… The Parisian Macao. SINGAPORE /PRNewswire/ — Tembusu Systems’ TRUST platform raised S$1.2 million in bridge funding to kick off the new year, including a million-dollar vote of confidence from a Singapore listed company. The most recent capital injection values the company at S$11 million. The TRUST platform makes the technology behind cryptocurrency available for use by organisations and individuals and opens up new use cases for cryptocurrency technology because of its new, innovative features, which investors and other businesses are keen to implement. “TRUST solves the key challenges of first-generation distributed blockchain technology that held it back from getting wide adoption. Our platform introduces proof-of-identity for accounts, which makes for better integration with existing systems and governments. We’re also including prepaid wallets and a reputation system to improve the user experience.” Said Andras Kristof, Co-founder and CEO of Tembusu Systems. These innovations take into account the lessons learnt from Bitcoin, the world’s most prominent cryptocurrency, which has had a difficult time gaining traction in many countries because of how its complete anonymity can be misused for criminal activities. Users also face the risk of irrecoverable losses if accounts are hacked or if data on their computers is destroyed. TRUST has a built-in system that enables account recovery. While not a cryptocurrency in itself, TRUST’s technology can also allow banks, governments and corporations to launch their own asset-backed cryptocurrencies. Asset-backed cryptocurrencies will likely be much more stable than Bitcoin, which has seen wild price fluctuations and is worth just 25 per cent of what it was worth 12 months ago. Immediate applications for Tembusu Systems’ distributed blockchain technology include payment processing systems, low-cost remittance services, cross-border loyalty points systems, and even banking and trade facilities for the region’s estimated 300 million unbanked. Tembusu Systems established themselves as a pioneer in the cryptocurrency scene when they launched Asia’sfirst Bitcoin ATM in Singapore, the Tembusu Prime Bitcoin ATM, in February 2014. The company was then known as Tembusu Terminals. A key advisor for the development of the TRUST platform is Yanis Varoufakis, the newly-appointed Greek Finance Minister and professor at the University of Athens, who has been working with the team since November 2014. He was a key consultant in building Valve Corporation’s online economy. Other advisors include Professor David Lee, Professor of Quantitative Finance (Practice) at SMU, Director of Sim Kee Boon Institute for Financial Economics, and Academic Director for the Global Master of Finance Dual Degree. This relatively large investment in cryptocurrency technology is the first by a listed company in the region and comes at a crucial time as governments and companies begin to seriously consider various levels of cryptocurrency adoption. The Monetary Authority of Singapore showed a progressive approach by allowing cryptocurrencies to be used with some regulation, fuelling innovation and growth in the sector here. A number of other countries have banned Bitcoin outright, because of price stability and anonymity issues, something the TRUST platform addresses effectively. “We see massive potential in how the TRUST platform can be used by corporations and financial institutions. We are looking at what may well be a paradigm shift in accounting, commerce and banking, and are encouraged because this round of funding shows the strength and relevance of the technology,” said Prof. Varoufakis before his electoral campaign. HONG KONG /PRNewswire/ — UBM Asia announces today that it has entered into a strategic partnership with Interexpo (M) Sdn Bhd to organise Interexpo’s annual Beauty Expo in Malaysia starting from the 2015 event. Beauty Expo is the biggest and longest-running beauty trade show in Malaysia and the largest such trade platform in Southeast Asia serving the beauty and wellness industry. The partnership is a significant addition to UBM’s portfolio of beauty, cosmetics and wellness events in Asia. UBM organises beauty exhibitions, namely PhilBeauty in the Philippines, ASEANBeauty in Thailand, Diet & Beauty in Japan and is a joint organiser of Cosmoprof Asia, the region’s largest and most international cosmetic and beauty trade show held annually in Hong Kong. The key members of Beauty Expo team will join UBM Malaysia to further develop the successful Beauty Expo. Beauty Expo 2015 will be held from 16 – 19 October at the Kuala Lumpur Convention Centre, Malaysia. 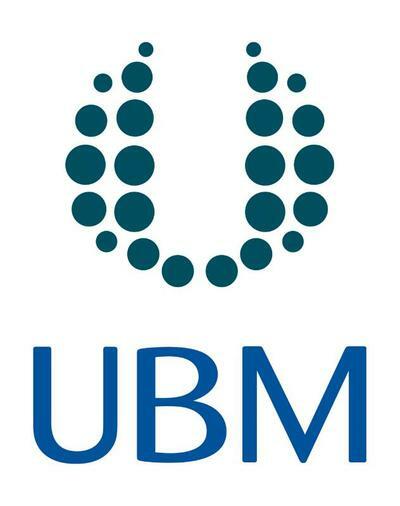 Owned by UBM plc listed on the London Stock Exchange, UBM Asia is the largest trade show organiser in Asiaand the largest commercial organiser in China, India and Malaysia. Established with its headquarters in Hong Kong and subsidiary companies across Asia and in the US, UBM Asia has a strong global presence in 24 major cities with 30 offices and 1,300 staff. UBM Asia has extensive office networks in China, Southeast Asia and India, three of the world’s fastest growing B2B events markets. UBM China has 11 offices in the major cities in mainland China, including Beijing,Shanghai, Guangzhou, Hangzhou, Guzhen and Shenzhen, where we organise 90 exhibitions and conferences. In ASEAN, UBM Asia operates from its offices in Malaysia, Thailand, Indonesia, Singapore, Vietnam and the Philippines with over 40 events in this region. UBM India teams in Mumbai, New Delhi, Bengaluru and Chennaiorganise 40 exhibitions and conferences every year across the country. UBM plc is a leading global events-led marketing services and communications company. We help businesses do business, bringing the world’s buyers and sellers together at events, online and in print. Our 5,000 staff in more than 20 countries are organised into specialist teams which serve commercial and professional communities, helping them to do business and their markets to work effectively and efficiently. For more information, go to www.ubm.com; for UBM corporate news, follow us on Twitter at @UBM_plc and go tohttp://media.ubm.com/social for more UBM social media options. Held at the Hong Kong Convention and Exhibition Centre (HKCEC), the AFF is one of the leading annual events in the global financial calendar, organised by the Hong Kong SAR Government and the Hong Kong Trade Development Council (HKTDC). The two-day forum welcomed an outstanding line up of speakers, including Chairman of China Securities Regulatory Commission Xiao Gang; Nobel prize-winning economist Professor Paul Krugman; and Chairman of Industrial and Commercial Bank of China Limited Jiang Jianqing. Over 170 guests visited the BVI House Asia Booth to learn more about the role that the British Virgin Islands (BVI) plays in world trade as a successful, transparent and well-regulated business centre, and the history that the BVI has had in Asia, helping clients in the region for over 30 years set up BVI business companies for asset protection and wealth management, funds investment, listing companies, captive insurance, ship and aircraft financing and registration, and holding companies. BVI House Asia is the representative office of the Government of the British Virgin Islands (BVI) in Asia Pacific. Based in Hong Kong, BVI House Asia was established in September 2013 to support and expand the strong relationship that the BVI has had with the Asia Pacific region for over 25 years. With a focus on financial services, BVI House Asia provides a wide range of services to Asian businesses, such as asset protection, property holding, financial management, trading, copyrighting, bespoke trust services and investment business. The BVI is among the largest corporate registers in the world and is lauded for its efficient time to market, competitive incorporation fees, and strong and innovative legal system. Drawing on its deep experience in the region and mature infrastructure in Asia, BVI House Asia is committed to building effective, trusted and responsible relationships with its clients, business partners and vested third parties. HONG KONG /PRNewswire/ — TIME, the world’s leading weekly news magazine that reaches over 60 million readers, has announced the winners of its “Submit Your World” video contest. In a world of constantly fragmenting media and ubiquitous technology that fights for our attention in every moment of the day. The contest was created to remind people about the importance of staying connected to the world, and also encourage them to express their opinions and share them with others in a constructive manner. Readers from all across the Asia-Pacific region participated, with a strong showing from the Philippines and Indonesia, which represented 50% of the submissions. Other countries and territories that saw high numbers of submissions were Malaysia, Australia, Hong Kong, Singapore and Thailand. World Affairs was the most pressing concern on readers’ minds, as it was, by far, the topic most covered in submissions. Culture, Entertainment and Ideas were the other most popular video subjects. After all of the evaluations and online votes were tallied, there were 5 “Grand Winners” chosen, along with a “Top 30” group of runners up. Each of the 5 Grand Winners will receive a 108-issue TIME Magazine All Access (print + digital) subscription, PLUS an Apple iPad Air 2. All of the Top 30 runners up will receive a 54-issue TIME Magazine Digital-only subscription. Contact TIME Submit Your World via email to submityourworld@timeasia.com for prize delivery arrangement or any enquiries related to the results. TIME separates the crucial from the trivial, converts information into knowledge and transforms confusion into clarity through careful thinking, great writing, first-hand reporting and arresting images. On every platform – web, social, tablet, print, mobile and experiential – TIME is essential, esteemed, everywhere. SINGAPORE /PRNewswire/ — ESI International, the world’s leading project management training company, today announced the release of its top 10 trends in project management for 2015. The 2015 trends reveal that project managers (PMs) will be impacted by many changes this year, including more hybrid environments, an increasing demand for talent management, and a growing need to more closely align project outcomes with organisational strategy. ESI International is a global project-focused training company, helping people around the world improve the way they manage projects, contracts, requirements and vendors through innovative training in project management, business analysis and contract management. In addition to ESI’s more than 100 courses delivered in more than a dozen languages at hundreds of locations worldwide, ESI offers several certificate programmes through our educational partner, The George Washington University in Washington, D.C. Founded in 1981, ESI’s worldwide headquarters are in Arlington, Va., USA. To date, ESI’s programmes have benefited more than 1.85 million professionals worldwide. For more information visit www.esi-intl.com.sg.